Twenty years ago, the Wheaton Alumni magazine began a series of articles, titled “On My Mind”, in which Wheaton faculty told about their thinking, their research, or their favorite books and people. 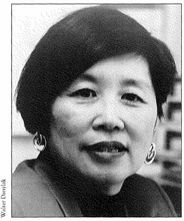 Former Professor of Education Jeanette Lowe Hsieh (who taught at Wheaton from 1990-1996) was featured in the Spring 1995 issue. One of my most vivid memories as I was growing up in San Diego, California, was Mrs. Buck, my fourth grade public school teacher. She was about 4’9″ with snowy white hair, and she carried a yardstick that appeared to me, as a ten-year-old, to be an extension of her arm. As a former Catholic nun she ran our class with an “iron fist.” Our daily classroom routine was to kneel and say three “Hail Marys” and four “Lord’s Prayers.” If I needed a few extra points on an assignment, all I needed to do was to carefully inscribe “JMJ,” meaning “Jesus, Mary, Joseph,” on the top of my paper and to write out a few “Lord’s Prayers” at the end of the page. Obviously, what we did as fourth graders in that San Diego public school is not tolerated in the public arena today, but Mrs. Buck planted a seed in my mind and heart that heightened a sensitivity to spiritual things. As a result, when Mrs. Higgins, a local public school principal, asked if she could drive my siblings and me to the local Southern Baptist Church for Sunday school, I was amenable. One by one, my sister, brother, and I made a personal commitment to the Lord, and eventually our parents were compelled to join us. Both of these strategically placed public school educators were instrumental in my spiritual pilgrimage, underscoring for me the critical need for Christians to remain as teachers, parents, and students in the public arena to serve as salt and light. I cringe when I hear calls for believers to withdraw from the public school classrooms. Yes, Christian schools or home schools are a viable and appropriate alternative for many concerned evangelicals. But other Christians are called to remain in the public arena to provide a moral compass for the millions of public school children who will live in one nation representing many peoples and faiths. There is a need for us to remain in society to shape ideas, reconstruct culture, and to ensure that the Christian distinctive is a clear choice, The New Testament emphasizes the importance of the Christian’s transforming work in the public marketplace. Without that Christian presence in my fourth grade, how would those spiritual seeds have been planted in my heart? But how can we stay in the public arena when someone else’s worldview collides with ours? Different assumptions for understanding the world can cause conflict even among people who agree they want the best for children. I’d like to suggest that significant disagreements among educators, parents, and members of the community are inevitable and even healthy in a pluralistic society. Faced with these differences, how should we conduct ourselves as we struggle to impact American education? We can either fight or communicate. For several years now, we have tried the confrontational approach, and the result is a great deal of tension characterized by fear and suspicion. The public schools are the bitter battleground of political skirmishes over controversial issues. 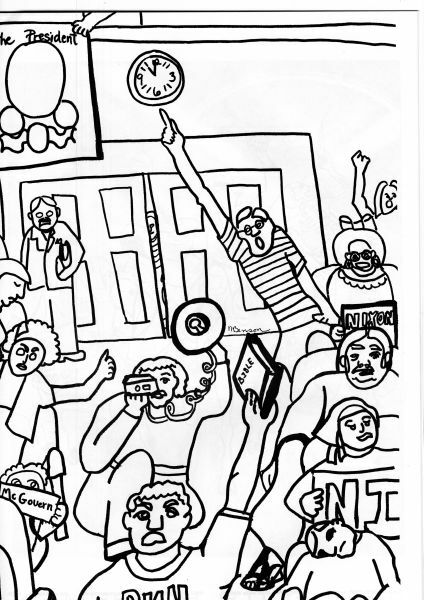 We watch as groups with different worldviews belligerently confront each other with menacing strategies and inflammatory language resulting in greater bipolarization and ineffective dialogue. I’d like to urge another approach—partnership. We need to build respectful relationships with the educational community to find common ground for mutual understanding. In my relationships with public school personnel I find little evidence that they grasp what we are saying, or why we are concerned. We must establish thoughtful dialogue so that they comprehend that the ideology of pluralism poses some vexing problems for Christian teachers and parents who believe in the exclusive claims of Christ and absolutes for belief and practice. Christians cannot endorse everything others say, do, or believe. Galatians 5:16-23 calls for a boldness in taking a stand while at the same time cultivating patience, gentleness, and kindness in relating to others. The application to disagreements in public education is clear. Our priority as we genuinely listen, learn, and clarify is to develop out of our differences a shared partnership to promote an educated citizenry for a thriving democracy. Jeanette Lowe Hsieh M.A.’66 — Associate Professor of Education, Chair of the Education Department, Coordinator of the Master of Arts in Teaching Program. Dr. Hsieh received a bachelor’s degree from Westmont College, a master’s from Wheaton College, and a doctorate from Northern Illinois University. Her husband, Ted, teaches psychology and is chair of the Social Science Division at Judson College. They have two sons, Matthew ’93, a student at Northwestern University Medical School, and Benjamin, a senior at Larkin High School who plans to attend Wheaton in the fall. Dr. Hsieh is president of the Illinois Association of Colleges for Teacher Education. 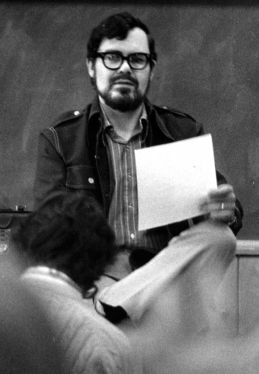 Siegel was a student and close friend of Dr. Clyde Kilby, Wheaton College professor of English who founded the Marion E. Wade Center, containing the manuscripts of C.S. Lewis, J.R.R. Tolkien and five other British writers. At Harvard, Siegel studied under poet Robert Lowell, winner of the Pulitzer Prize. 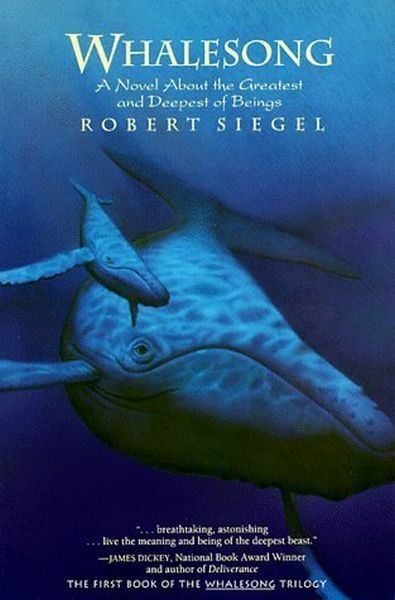 Aside from the world of letters, Siegel was also a naturalist, laboring for land preservation. In 1989 he published an article in the Atlantic Monthly, drawing attention to the imminent razing of Henry Thoreau’s property for a housing development. His effort was successful. Robert Siegel composed and read the inaugural poem, “In My Beginning is My End,” at the 2010 installation ceremony of Dr. Philip Ryken, eighth president of Wheaton College. His papers (SC-11), comprising correspondence and manuscripts, are housed in the Wheaton College Special Collections, are available to researchers. This Christmas meditation, written by V. Raymond Edman, originally appeared as a tract called “Meet Mr. Scrooge,” published by Moody Press. Then there are those ghosts, each with a message to Scrooge. The Ghost of Christmas Past brought back the recollection of happy schooldays and the reminder of merry Christmas Eves of long past when Scrooge was an apprentice in the office of old Fezziwig. There was even the reminder of an old love affair that never materialized. The bittersweet nostalgia of the yesterdays! The Ghost of Christmas Present took the old skinflint to the happy scenes in the humble Cratchit home the preparation for dinner, the arrival of Father Bob and his little crippled son from the church service, the gratitude of all for God’s goodness despite Bobs poor wages. A delightful scene in merry old England! But the Ghost of Christmas Future had only sadness for Scrooge. The Cratchit home was silent and tearful, and Tiny Tim, who might have lived had there been money for medical help, was no longer there. From there the Ghost took the penitent and fearful Scrooge to a deserted cemetery and pointed to a solitary grave marked with the name Ebenezer Scrooge. No, never! How could he ever face the dismal and doleful prospect pictured in that headstone? As Scrooge poured out his protest and clung to the arm of the Ghost Future, he came to consciousness, clinging to the bedpost in his own room. It had all been a dream. But life is not a dream. It is very real. For us there is the memory of yesterday’s Christmases with the message: “God so loved the world, that he gave his only begotten Son, that whosoever believeth in him should not perish, but have everlasting life” (John 3:16). We have today, and the Bible reminds us, “Now is the accepted time; behold, now is the day of salvation” (II Cor. 6:2). “Believe on the Lord Jesus Christ, and thou shalt be saved” (Acts 16:31). For the future the Bible goes on to say, “It is appointed unto men once to die, but after this the judgment” (Heb. 9:27). The time to prepare for that certainty is right now. Of course you are not the stingy, grasping old miser of A Christmas Carol, but like him you face the prospect that ahead lies the grave and the beyond! Like old Scrooge, you can be transformed, not by New Year’s resolutions but by becoming a child of God in receiving the Lord Jesus Christ. Then the present takes on joy and new meaning, and you can face the future unafraid! “As many as received him, to them gave he power to become the sons of God” (John 1:12). Fourth Presbyterian Church, situated directly across from Hancock Tower, is a Gothic limestone anachronism amid the sleek high rise condos, trendy shops and high-tech offices of downtown Chicago. Displaying spire, cloisters, fountain, gabled roof and stained glass windows depicting biblical scenes, Fourth Presbyterian, designed by renowned architect Ralph Adams Cram, presents an austere dignity to Michigan Avenue. Since its founding in 1871, the old church has seen a succession of qualified ministers occupy its pulpit. Among these was the gifted Reverend John Timothy Stone, Fourth’s seventh pastor. Stone had been serving at Brown Memorial Church in Baltimore when he finally accepted Fourth Presbyterian’s persistent invitation, officially installed by the presbytery in 1909. Under his leadership the church’s lay ministries greatly increased as his eloquence attracted swelling crowds. 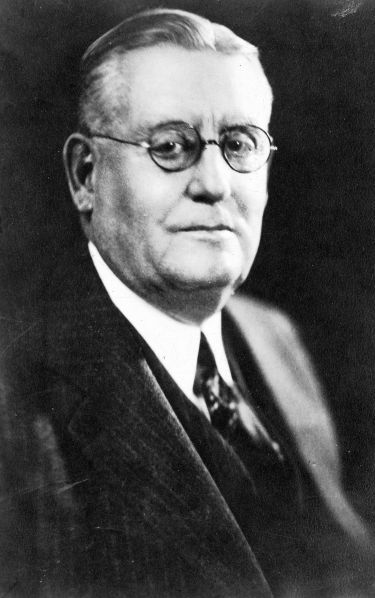 In 1928 Stone was elected as acting president of Presbyterian Theological Seminary (now McCormick Theological Seminary), assuming full-time duties in 1930. Situated so prominently, Stone interacted with the chief ecclesiastical figures of the era, including Dr. J. Oliver Buswell, then-president of Wheaton College, who had in 1918 received his divinity degree from the seminary. These were transitional years not only for Stone and Buswell in their roles as college educators, but the battle between theological “modernists” and conservatives was just beginning to heat up, boiling toward a crisis which would shiver institutions and divide loyalties. According to historian Ovid R. Sellers, “The theological controversy which threatened to split the Presbyterian Church in the USA during the twenties had no repercussions on the McCormick campus.” This assertion is not quite accurate, as seen in the following correspondence. Stone replies graciously, including written responses from Hays and Frank. “Please dismiss from your mind any spirit other than cordial toward Wheaton College or toward yourself,” he writes, hoping to disarm Buswell and put the matter to rest. He goes on to address Hays and Frank’s objections to his criticism of their theology, reiterating his suspicions that these teachers are, indeed, liberal in their appeals to authoritative sources beside the Bible, and disparages their suggestions that the Old Testament prophets, along with Jesus, simply re-packaged existing pagan customs to suit their immediate ministerial needs. Stone’s reply, if such exists, is missing from the record; but history demonstrates that Wheaton College anchored herself largely to the right of the theological center, as McCormick bobbed ever leftward. Etched against the sky of a quiet Midwestern city, the tower of Wheaton College stands sentinel over the campus. For one hundred years Wheaton College has been a landmark of faith to its students who have chosen it as their Alma Mater, and to their parents and friends who have supported its ideals of Christian education. Under the leadership of four presidents, Jonathan Blanchard (1860-82), his son Charles Albert Blanchard (1882-1925), J. Oliver Buswell, Jr. (1926-40), and V. Raymond Edman (1940-65), Wheaton has maintained a consistent witness to Christian truth. Through numerous economic depressions, three major wars, and the shifting scenes of social and theological controversy, it has stood firmly for an undiluted Christian faith. Its faculty and graduates have been champions of political liberty, social reform, and evangelistic fervor. In 1937 the Graduate School of Theology was established as the result of a generous provision in the form of a residuary trust from the estate of John Dickey, Jr., of Philadelphia, in order that Wheaton’s ministry might be enlarged. Since the inception of the Graduate School more than three hundred and fifty alumni have been graduated and have entered the ranks of teaching, the ministry, and the mission field. 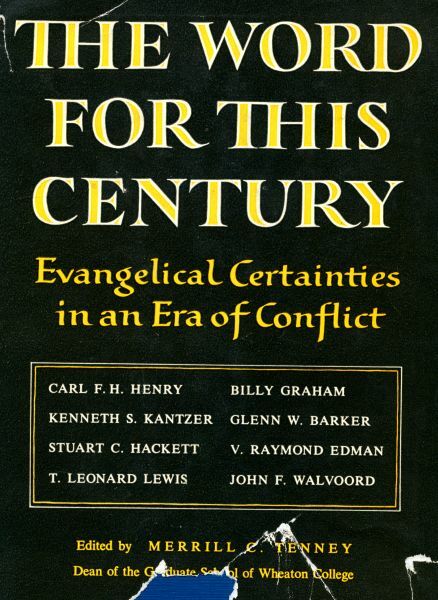 This volume is issued on the centennial anniversary of Wheaton College as a testimony to its historic faith. The contributors of these essays, representing administration, faculty, and alumni, are actively engaged in preaching and teaching this message, and they speak for the larger number seeking to present the word of God to this century. As the list of authors on the title page of this book indicates it is the product of co-operative effort by men whose time is heavily taxed by the daily duties in which they are engaged. To them the Graduate School of Wheaton College is indebted for their contribution to this memorial volume. One of them, Dr. T. Leonard Lewis, the President of Gordon College, was suddenly taken to be with the Lord in the spring of this year, and the chapter that he wrote is one of the last products of his pen. To all of these men hearty thanks are due for their willing participation. Special thanks are offered to Dr. Carl F. H. Henry and to his publisher, Wm. B. Eerdmans Publishing Company, for permission to quote two paragraphs from his Christian Personal Ethics. The Centennial Committee of Wheaton College, Richard Gerig, Chairman, has aided materially in sponsoring this project. The Editor acknowledges gratefully the help of his wife, Helen J. Tenney, in preparing the manuscript for publication, and the stenographic work of Mrs. Edward A. Adams in the transcription of the copy. George McGovern, historian, senator and representative from South Dakota, died on October 21, 2012. Forty years ago, on October 11, 1972, he spoke at Wheaton College, a rather unlikely campaign stop for the Democratic presidential nominee against Republican Richard Nixon. The event was initially suggested by McGovern’s staff, asking for a venue in which he might engage Evangelicals. Activist Jim Wallis, attending Trinity Evangelical Divinity School, was asked to organize the senator’s visit, arranging a breakfast with prominent Christian leaders, in addition to an engagement at Wheaton College. “Actually,” writes Wallis, “the Wheaton Student Council, which issued the invitations to both candidates, accidentally switched the letters, sending Nixon’s by mistake to McGovern.” However, only McGovern accepted. A quiet man raised in a devout Methodist family, McGovern soon found himself in the pulpit of Edman Chapel, standing before an atypically divided house. 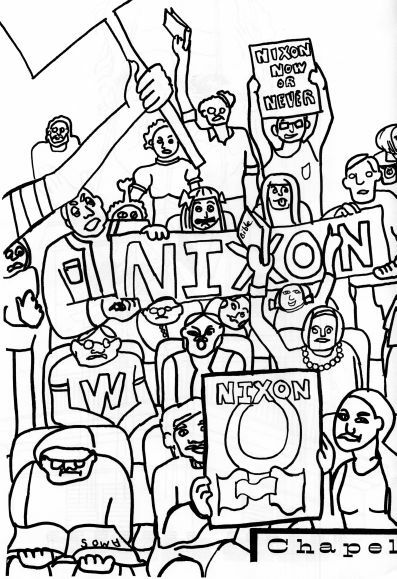 A few supportive students cheered his unpopular anti-Vietnam War position, but many more booed, waving pro-Nixon banners. …Skinner…was a strong supporter of the senator and also, remember, I was banned from speaking at Wheaton. In an embarrassing moment, the students almost booed Skinner off the stage. McGovern’s aides were astonished. When the senator finally came out, the Wheaton students booed him too — a candidate for President of the Unites States. The speech is heard here. 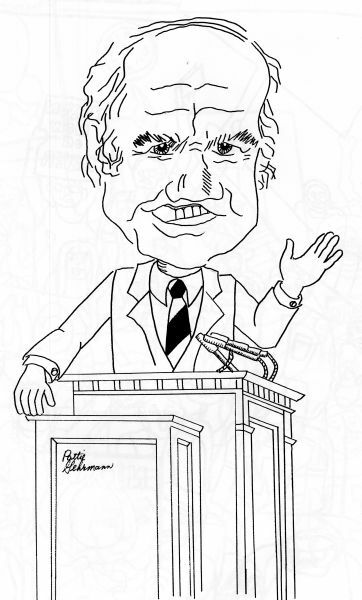 According to English professor Paul Bechtel, “Challenging ideas were set before the students with conviction, with charitable fairness, with no evidence of hollow political cliches.” Alas, McGovern lost the election with 17 electoral votes against Nixon’s 520. McGovern’s books include Abraham Lincoln (2008) and What It Means to Be a Democrat (2011). Jim Wallis’s essay, “The George McGovern I Remember,” is published in the October 25, 2012, online edition of Sojourners: Faith in Action for Social Justice. The papers of Jim Wallis (SC-109) and Sojourners (SC-23) are housed in the Wheaton College Special Collections, available to researchers. The cartoons are scanned from Coloring Book of Wheaton College, Spring 1973. Over twenty years ago, the Wheaton Alumni magazine began a series of articles, titled “On My Mind”, in which Wheaton faculty told about their thinking, their research, or their favorite books and people. 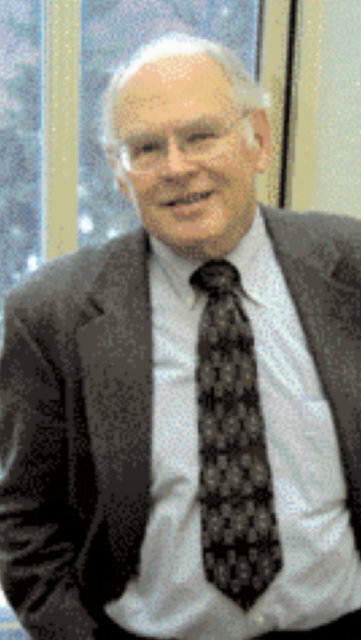 Associate Professor of History Emeritus Thomas Kay (who taught at Wheaton from 1959-2004) was featured in the Spring 2003 issue. Historians are often asked, “What does history teach?” Such an inquiry suggests that history is a measure by which we might evaluate the present and project the future; it makes the past absolute, definitive, and normative. Hence,”Whatever was, was right.” Thereby, the past serves as window both to the present and also to the future. The historian becomes both pundit and prophet. My response to such queries is always, “History teaches change.” Each unique historical event may provide an understanding of the past, the present, and perhaps a glimpse into the future, which is not to say that the past determines the present or the future. Sages of ancient Greece and Rome sought to discover in history the element of a balanced and complete social and political structure that could be implemented for all time. From those elements one might develop the best of human associations, perfecting their members and possessing eternality. Their efforts and formulae for well-intended reform and renewal broke down under their own weight and a failure to grasp the character of the fundamental human condition–sin. Self-interest, personal gain, and power undercut the search for peace, stability, order, and community. The laws of the jungle became the master. The advent of Jesus Christ came when many aspects of the Roman Empire and classical civilization were giving way. Even in the glow of the cessation of civil strife and the popular hope that Augustus Caesar would be harbinger of peace and a new, enduring order, the rule of the stronger continued. In the midst of grasping, praying, and hoping for political, economic, social, and moral stability there were many changes. Rome fell prey to the whims and desires of leaders bound by their personal goals of power, self-glorification, and deification. That for which Rome yearned–peace, order, eternality–would not come through changes wrought by sheer power, even by those who exemplified the highest classical values. Such change came and continues to come to every person in the advent (past, present, and future) of Jesus Christ, whose eternal kingdom, the City of God, transforms the human experience now and forever. As throughout history, life has always been, and will continue to be full of changes. There are the changes of birth, growth, and death; the changes in human relationships and changes of residence, work-place, and martial status. Ironically, the essence of Christianity is also change. There is the change of becoming a new creation in Christ and the ultimate change that will mark the denouement of history: “In a moment in a twinkling of an eye, we shall all be changed” (1 Cor. 15:52). It is only after history is finished that non-change becomes fully possible; in that place where there is no day nor night, no tears, no illness and no death. History teaches change and coping with change. This is the human predicament. Change is only transcended by both the temporal and eternal foundations of the City of God. It is this for which all humanity has sought, and will continue to seek throughout the ages. Lancaster County, Pennsylvania, boasts a singularly rich Christian heritage, dating to the founding of the country. Closely associated with Amish, Mennonite and Quaker settlements, this district also enjoys the presence of Quarryville Presbyterian Home, founded by Franklin S. Dyrness. Graduating in 1931 from Wheaton College, Dyrness enrolled at Westminster Theological Seminary. 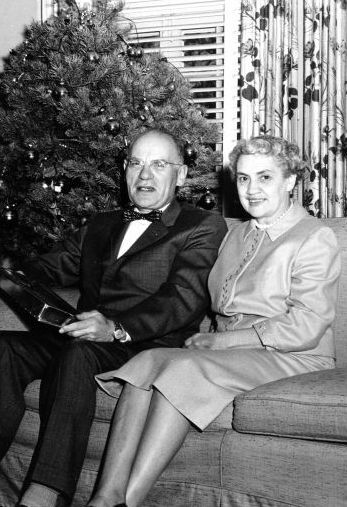 Later serving as a pastor in Pennsylvania, he attempted locating housing for several elderly women from his congregation. Finding nothing suitable, he decided to establish his own home, but this one would be different. “We’re here not here just to have people take care of old people,” he told an interviewer. “I’m not interested in that. Let the government do it. We’re here with Christian concern in action. The Lord has led them here, and they have come of their own accord. People say that you ought to be happy that you established this. I say, please don’t say that. I have no credit. I don’t want any. The Lord is the only man who can do it and he did. Therefore, give God all the honor and praise.” While studying at Wheaton College Dyrness met his wife, Dorothy (“Dot”) Ruth Rasmussen. Franklin’s brother, Enock Dyrness, acted as the college Registrar from 1924-69. Quarryville is tied to Wheaton College in other significant ways, as well. Throughout the years, many staff and alumni have retired here, notably Katharine Tiffany, longtime English teacher, who called it “the Conrad Hilton of retirement homes.” A room at the Home was named after her, the K.B. Tiffany Memorial Center. Dr. J. Oliver Buswell, third president of Wheaton College, lived his final years at Quarryville. Unlike his successor, V. Raymond Edman, who died of a heart attack quite publicly while preaching a chapel message at Wheaton College, Buswell simply slumped in his wheelchair, passing quietly. He is buried in Quarryville Cemetery. Wheaton’s fifth president, Dr. Hudson Armerding, spent several retirement years at Quarryville, assisting the chaplain with preaching and room-to-room visitation, before returning to Wheaton shortly preceding his death in 2009. 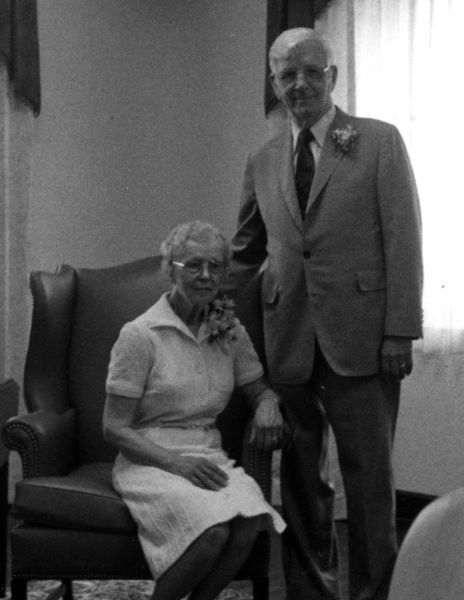 Franklin Dyrness served as president of Quarryville Presbyterian Home from its 1948 inception until his retirement in 1985. 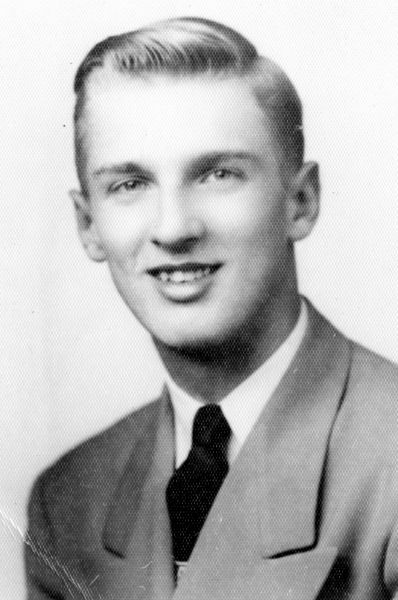 He was elected to the Wheaton College Honor Society and was bestowed the Doctor of Divinity in 1960. The Home and his alma mater contributed funds to establish the Franklin S. Dyrness Chair of Biblical Studies at Wheaton College. He was also president of the Board of Trustees of The Reformed Presbyterian Church in North America. According to his son, F. Seth, Jr: “We gathered around his bed and sang some of his favorite hymns for him. As we sang the final verse of Rock of Ages, he closed his eyes and went to be with the Lord. It was beautiful and deeply comforting for us as a family.” Franklin Dyrness died on June 16, 1990. A newly released book by Wheaton College graduate, David Swartz is receiving favorable reviews by scholars and critics alike. Significant research was conducted in the Sojourners Records and other archival resources of the Archives & Special Collections prior to publication of Moral Minority: The Evangelical Left in an Age of Conservatism (University of Pennsylvania Press). Dr. David R. Swartz is an assistant professor of history at Asbury University. He earned his Ph.D. in American history at the University of Notre Dame under the direction of George Marsden and Mark Noll. Areas of expertise and teaching interest include American religious history, twentieth-century American politics, global religion, and issues of war and peace. Located halfway on the mile between Chicago’s Moody Bible Institute and Moody Memorial Church stands LaSalle Street Church, its 130-year old spire tucked snugly amid a row of upscale condominiums, only two blocks from Lake Michigan. But when William Leslie left his position in 1961 as assistant pastor of Moody Church, serving under Dr. Alan Redpath, to lead the struggling assembly, the district was severely blighted, collapsing beneath the weight of decrepitude, poverty and racial tensions. Leslie, a graduate of Wheaton College, realized that he must not only preach to touch the spirit, but he must also address the material welfare of his parish. And so, operating under the motto, “The Whole Gospel for the Whole Person,” LaSalle Street Church instituted a tutoring program, eventually gathering over 300 students. Soon other ministries blossomed. LaSalle Street Young Life recruited men from gangs, providing alternatives in Bible studies, sports and summer camp. LaSalle Street Senior Center provided meals, counseling and exercise for the Northside elderly. The Cabrini-Green Legal Aid Counsel sought justice for the ill-served, offering legal aid. 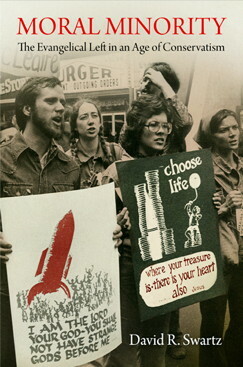 Bridging was established to assist single pregnant women, offering an alternative to abortion. These programs not only fulfilled Leslie’s desire to mobilize his strategically-placed church, rather than allowing the members to sit passively, but strengthened LaSalle Street’s purpose to holistically worship, educate and evangelize. Another vital component was the incorporation of the arts, drawing heavily from the talents of gifted members. Plays, banners, slide shows and dance were all used to enhance worship and brighten the sanctuary. As a result of these innovations, Leslie was known to his congregation as “the resident dreamer.” Busloads of students from Wheaton College arrived weekly to assist with the various ministries. Bill Leslie was a most unlikely pioneer. He was disheveled, disorganized (several times I waited in vain for Bill, who had forgotten our appointment or gone to the wrong restaurant), and hardly a promising candidate for racial reconciliation. (He had attended the strictly segregated Bob Jones University, and his father-in-law had worked in racist Lester Maddox’s gubernatorial campaign.) Yet he, as much as anyone, was responsible for pointing the evangelical church back to the city and for reminding us that Jesus came to redeem communities as well as individual souls. Leslie’s papers (SC-75), comprising correspondence, photographs and cassettes, are archived at Wheaton College Special Collections, available to researchers.